Sir Alan Lloyd Hodgkin was an English biophysicist and a physiologist who received the Nobel prize in Physiology or Medicine in 1963. This biography profiles his childhood, life, research, achievements and timeline. 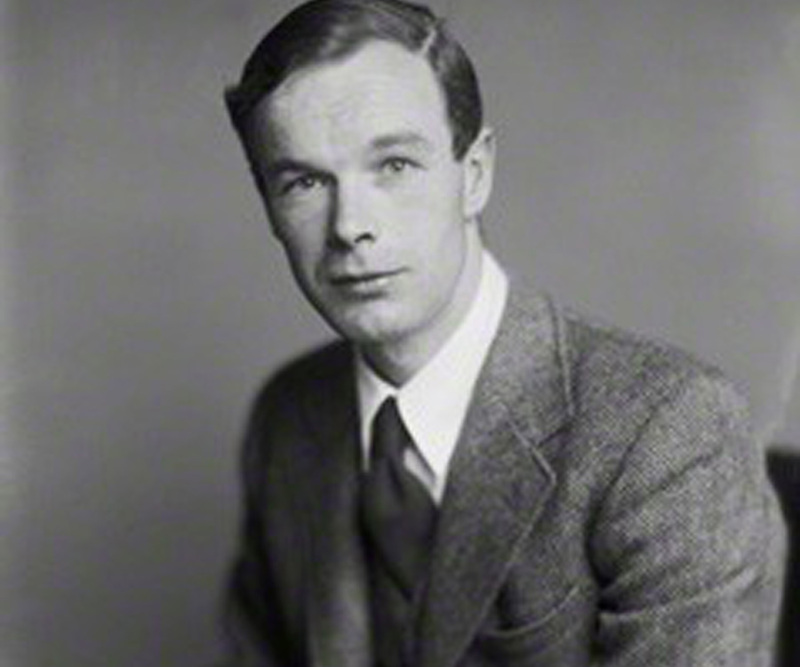 Sir Alan Lloyd Hodgkin was an English biophysicist and a physiologist who received the Nobel prize in Physiology or Medicine along with Sir John Eccles and Andrew Fielding Huxley for discovering the chemical processes which controlled the transmission of electrical impulses from one nerve cell in the brain to another though nerve fibers. He and his fellow scientists introduced microelectrodes into the giant nerve fibers of a squid and showed that the electrical potential of a nerve fiber transmitting an impulse is higher than a nerve fiber which remains at rest. This discovery was in contradiction to the earlier hypothesis that nerve membranes break down when an impulse was transmitted. This theory formulated by Hodgkin and Huxley is known as the ‘voltage clamp’. They found that a large amount of potassium ions is concentrated inside a nerve fiber while the solution which surrounds the fibers has a large concentration of sodium ions. They proved with the help of experiments that nerve fibers allow only potassium ions to pass through the membrane when they are at rest while only sodium ions are allowed passage when the fibers are excited. The continuous sequence of depolarization that occurs to the nerve cell membranes discovered by him is known as the ‘Hodgkin Cycle’. Alan Lloyd Hodgkin was born in Banbury, Oxfordshire, England on February 5, 1914 to George Hodgkin and Mary Wilson. When his father died of dysentery in 1918 in Baghdad, his mother re-married Lionel Smith. They lived with him thereafter. He studied at the ‘The Downs School, Malvern’ from 1923 to 1927 and later at the ‘Gresham’s School, Holt’ from 1927 to 1932. He joined the Trinity College affiliated to the Cambridge University in 1932 and studied there till 1936. Alan Lloyd Hodgkin started his experiments on the nervous system of frogs in 1935 while he was at the University of Cambridge. He received an invitation from Gasser to work at his laboratory located in the Rockfeller Institute in New York in 1937. From 1937 to 1938 he learnt to dissect squid axons with the help of K. S. Cole at ‘Woods Hole’. He returned to Cambridge in 1938 and started to work with one of his students, A.F. Huxley. He worked for the ‘British Air Ministry’ from 1939 to 1940 on aviation medicine with Matthews at Farnborough. From 1940 to 1945 he carried out various experiments on improving the radar which helped the war effort a great deal. He worked on 10 cm display and scanning systems for improving the night-fighting capabilities of aircrafts. He also worked in designing the ‘Village Inn AGLT Airborne Gun-laying system’. In early 1941 he was involved in the in-flight testing of the centimetric radar system aboard one of the Bristol Blenhein aircrafts. 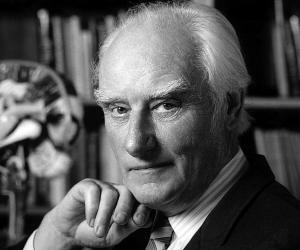 He joined the faculty at the ‘Cambridge University’ in 1945 as a teacher in the Physiology Laboratory. When Huxley returned to Cambridge a few months later he teamed up with Huxley again to continue with their earlier experiments. Hodgkin and Huxley carried out most of their experiments on the chemical and electrical characteristics of nerve fibers in the laboratory of the ‘Marine Biological Association’ till 1952. In 1951 Hodgkin became a ‘Foulerton Research Professor’ at the ‘Royal Society’. 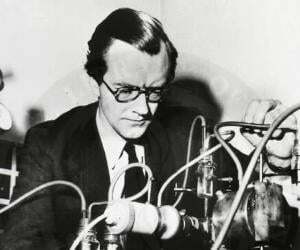 Though the war had interrupted their experiments for a certain period after 1939, Hodgkin and Huxley were able to continue with their experiments after the war had ended and in 1952 were able to publish a paper describing the findings they obtained from experimenting on nerve fibers. Hodgkin served on the ‘Royal Society Council’ from 1958 to 1960 and then on the ‘Medical Research Council’ from 1959 to 1963. He was made the foreign secretary of ‘Physiological Society’ from 1961 to 1967. He became the President of the ‘Marine Biological Association’ in 1966 and the President of the ‘Royal Society’ in December 1970. He served as a professor of biophysics at the ‘Cambridge University’ in 1970 after becoming a ‘John Humphrey Plummer Professor of Biophysics’. He became the chancellor of the ‘Leicester University’ in 1971 and held the post till 1984. He was appointed as the Master of the Trinity College in 1978 and served there till 1985. 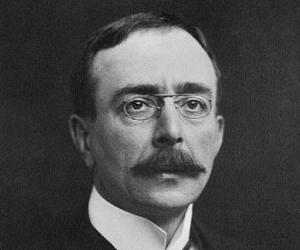 During different periods of his service he became a ‘Foreign Member of the American Philosophical Society’, a ‘Foreign Member of the American Academy of Arts and Sciences’, ‘Member of the Deutsche Akademie’, an ‘Honorary Fellow of the ‘Indian National Science Academy’, an Honorary M.D. of the Louvain and Berne universities, and an Honorary D.Sc of the universities of Newcastle, Sheffield, Manchester, E.Anglia, London and Leicester. Sir Alan Hodgkin’s writings include the book titled ‘Conduction of the Nervous Impulse’ which was published in 1964. He published his autobiography titled ‘Chance and Design: Reminiscences of Science in Peace and War’ in 1992. Sir Alan Lloyd Hodgkin was awarded the ‘Royal Medal of the Royal Society’ in 1958. He was made a ‘Member of the Royal Danish Academy of Sciences’ in 1964. 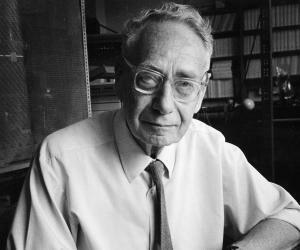 He received the ‘Copley Medal of the Royal Society’ in 1965. He was also awarded the ‘Order of Merit’ in 1973. While working at the Rockfeller Institute, he met Marion Rous, daughter of the famous pathologist Peyton Rous, and married her in 1944. He had a son, Jonathan, after two daughters, Sarah and Deborah, and then the youngest daughter, Rachel, from this marriage. 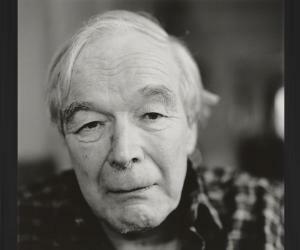 Sir Alan Lloyd Hodgkin died in Cambridge, England on December 20, 1998. The favorite pastimes of Sir Alan Lloyd Hodgkin comprised of travelling and fishing.